Come with me this week to discover this superbly illustrated and highly collectible new volume about Bernard Boutet de Monvel (1881-1949), the chic portraitist, who in the twenties, thirties and forties, in Paris and New York and Palm Beach, captured the likenesses of café society. 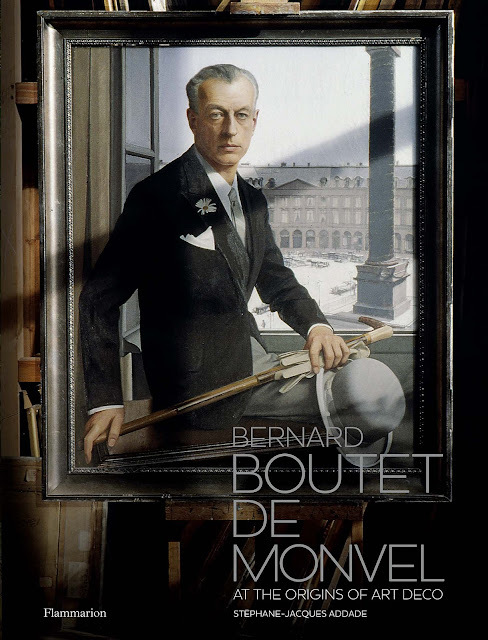 Bernard Boutet de Monvel was the portraitist of great beauties, their husbands, and their pretty children. 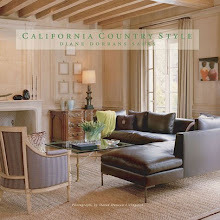 Names and clans like Vanderbilt, Frick, Elsie de Wolfe, Millicent Rogers, Astor, Whitney, French nobles, the Maharaja and Maharani of Indore, and du Pont all posed in his studios. 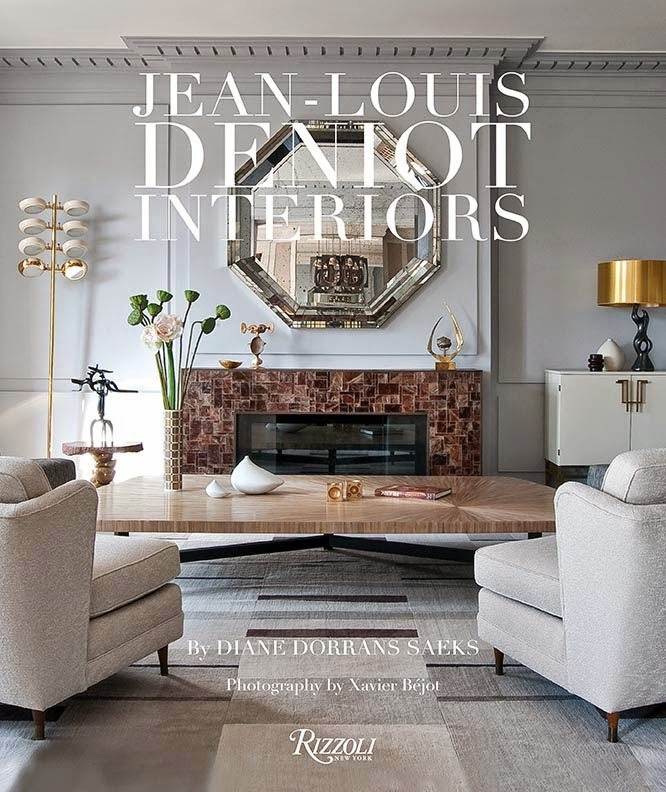 Now, with a highly successful recent Sotheby’s sale, and the publication of the superbly detailed new book, Bernard Boutet de Monvel is rediscovered. 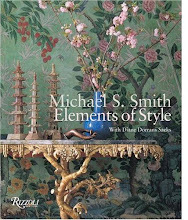 This is one of my favorite recent books—and an essential reference book for designers, artists, photographers and everyone drawn to this alluring and glamorous era. The text is detailed and informative. 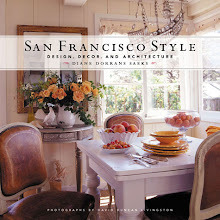 Images of his interiors and locations capture the elegant era with perfection. I first discovered the elusive Bernard Boutet de Monvel (that’s his portrait on the book cover, above) in the window of an art gallery along the quai Voltaire. I was heading to Sennelier to buy some watercolor paints when a gold-framed portrait of a woman in a white dress caught my eye. Static, motionless, timeless, the woman (his Chilean wife, Delfina, whom he painted many times) gazed out, perfection captured. I walked into the gallery and asked about it. ‘Bernard Boutet de Monvel’ the dealer said. 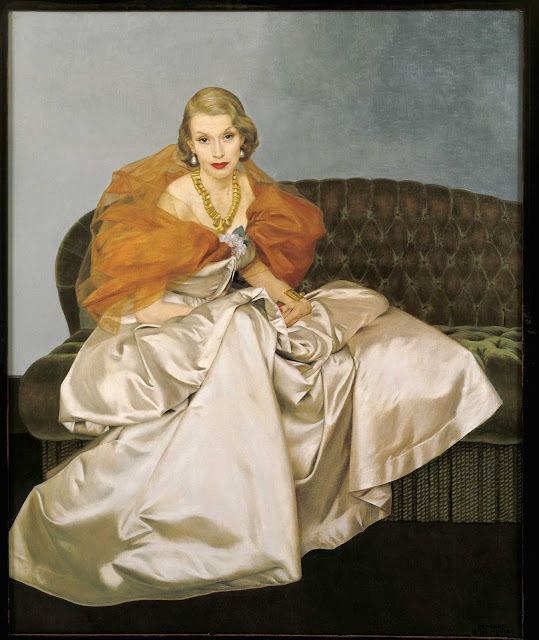 Lady Plunkett (Aileen Guinness) in a gown by Cristóbal Balenciaga, oil on canvas, 92.5 x 42 cm, 1949. Private collection.© Sotheby's / Art Digital Studio, from Bernard Boutet de Monvel: At the Origins of Art Deco (Flammarion, 2016). 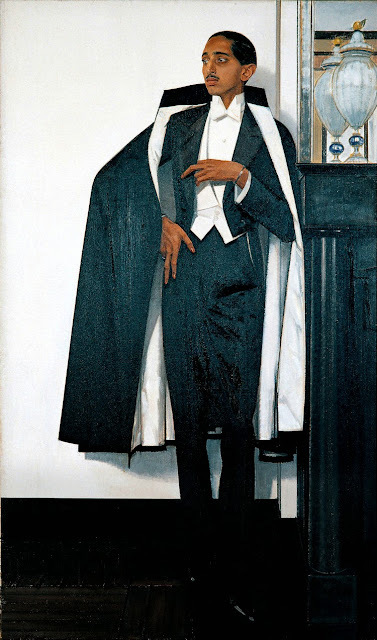 Some years later, in a museum exhibit in London, I discovered Boutet de Monvel’s fantastic portrait of the Maharaja of Indore painted in 1933. Seated on a white ‘throne’ and resplendent in white cotton robes with just a dash of orange and gold handwoven silk, he is wearing the Indore pear-shaped diamonds, each 46 carats. It’s one of the great contemporary portraits, serene and subtle, and elegant. In April 2016 ,in Sotheby’s dramatic Paris sale of the artist’s estate—the stunning portrait of the Maharajah of Indore soared to €2.5 million ($2.9 million). Portrait of Boutet de Monvel, courtesy of Sotheby’s. Bernard Boutet de Monvel often painted himself from 1908 onward. In 1932, he painted two self-portraits for an exhibition at the Reinhardt Galleries in New York including Autoportrait, place Vendôme. In this strikingly elegant picture, reminiscent of the great Italian Renaissance portraits he admired so much, he presents himself as a genuine dandy in a room at the Ritz, where he often had lunch. Seated on a desk, the artist is holding his cane, cream gloves and hat, with the inevitable white daisy in his buttonhole. Through the window, it is possible to see the place Vendôme. Mrs. Millicent H. Rogers in a gown by Charles James, oil on canvas, 85 x 69 cm, 1949. Private collection.© Private Collection / Jacques Pépion, from Bernard Boutet de Monvel: At the Origins of Art Deco (Flammarion, 2016). 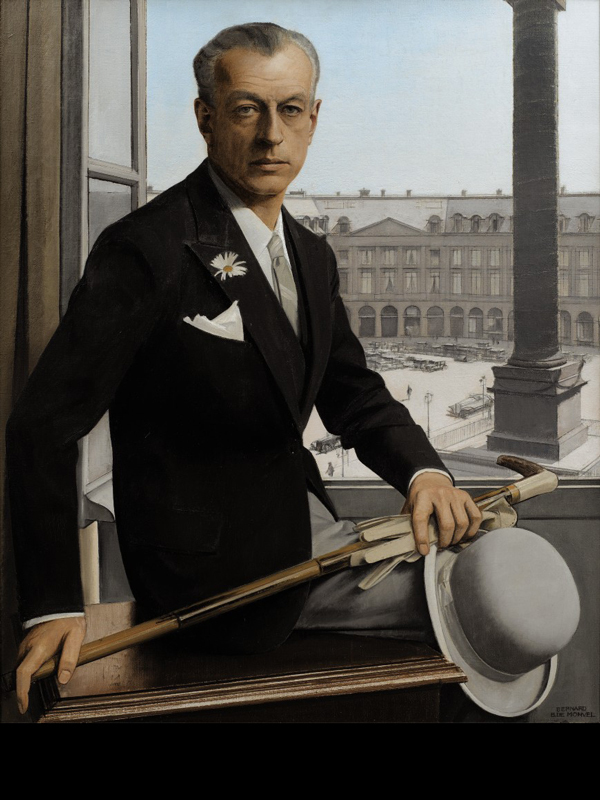 Sotheby’s sale, April 5 and 6 in Paris this year, offered over 300 lots—of portraits, drawings, illustrations, prints, and furniture from the estate of Boutet de Monvel who died in 1949. “A star is reborn," said Sotheby’s. The sale restored the fabulous French artist to a prominent place among curators and galleries and international collectors. 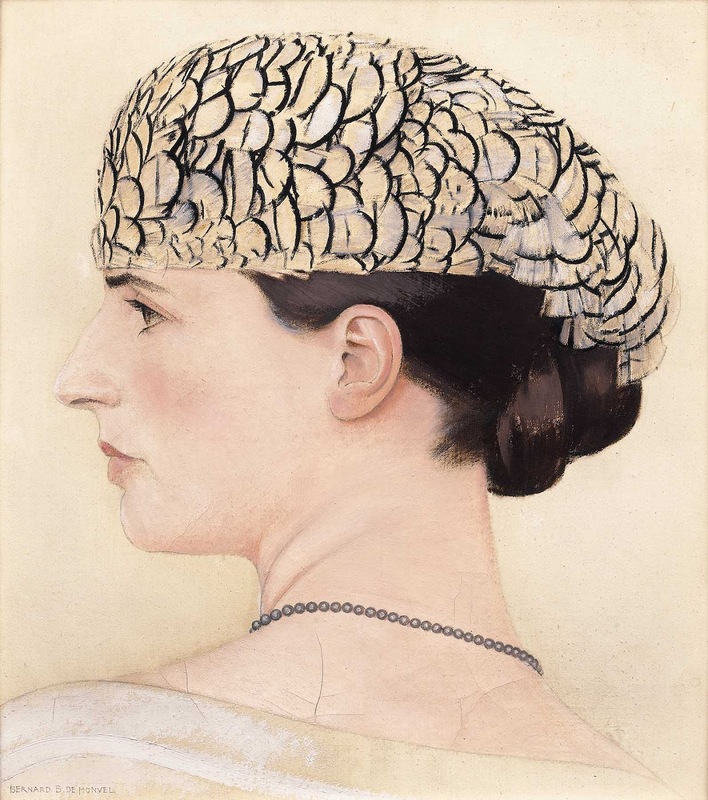 Coveted portraits, such as those of the artist’s wife and daughter (see below) drove the overall total of the sale to €9.3 million / $10.6 million (est. €1.8-2.8 million). 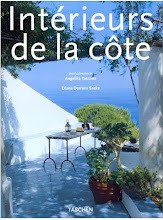 This new book was published by Flammarion at the time of the sale. 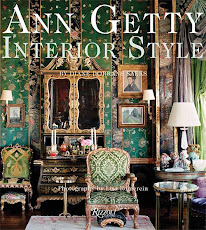 It is a fantastic and definitive illustration of a glamorous era before omnipresent iPhone portraiture, and a stylish record of interiors, décor and accomplished people of the period. Delfina Wearing a Feathered Toque by Jeanne Lanvin, oil on canvas and pencil, 35 x 32 cm, c. 1922. Private collection. © Sotheby's / Art Digital Studio, from Bernard Boutet de Monvel: At the Origins of Art Deco (Flammarion, 2016). 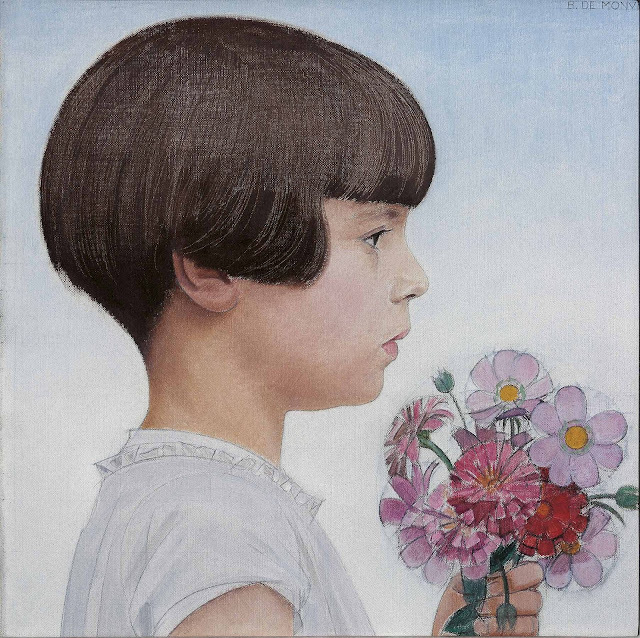 Sylvie Boutet de Monvel, oil on canvas, 45 x 45 cm, October 1928. Private collection. © Private Collection / Jacques Pépion, from Bernard Boutet de Monvel: At the Origins of Art Deco (Flammarion, 2016). 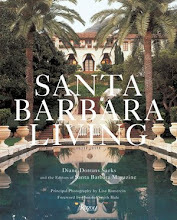 ABOVE: At Sotheby’s: Among exceptional portraits in the sale were intimate family paintings of Boutet de Monvel’s beautiful Anglo-Chilean wife, Delfina Edwards Bello and of their daughter, Sylvie. A portrait of Delfina wearing an ensemble by Pierre Piguet fetched €363,000 ($414,473), nine times the pre-sale low estimate (est. € 40,000 - 60,000). 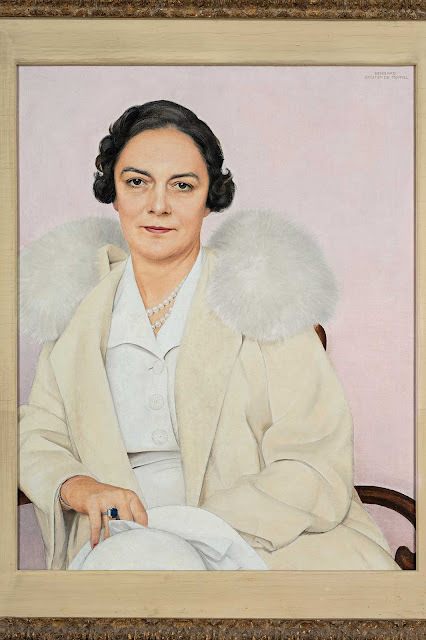 Mrs. John A. Vietor (Eleanor Emily Woodward), oil on canvas, 86.5 x 71.5 cm, 1937. Private collection. © Private Collection / Jacques Pépion, from Bernard Boutet de Monvel: At the Origins of Art Deco (Flammarion, 2016). 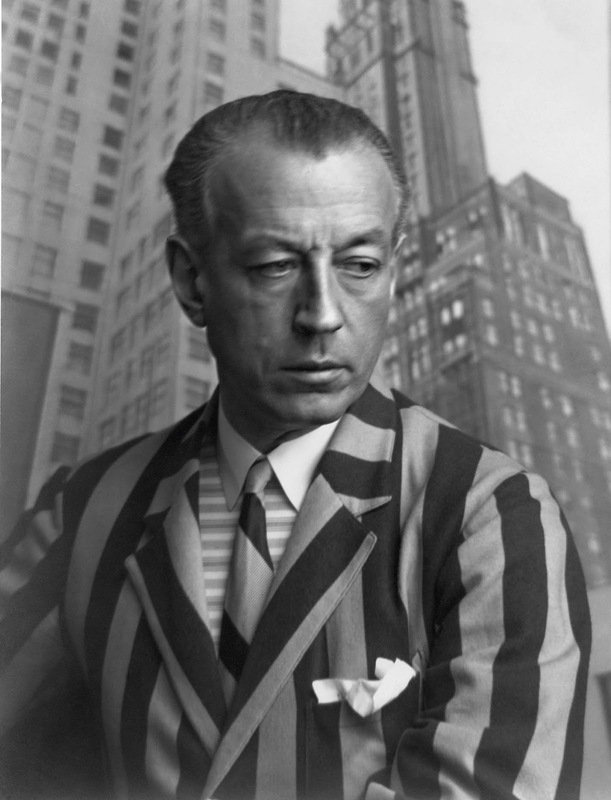 A painter, engraver, sculptor, decorator, as well as an illustrator for Vogue and Harper’s Bazaar, Boutet de Monvel was one of the most celebrated portraitists of his day, as well as a master of Art Deco and American Precisionism. 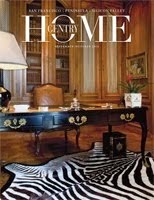 His models included Prince Sixte de Bourbon-Parme, William Kissan Vanderbilt, Lady Plunkett, Frick, Whitney and Astor. With his unrivalled aesthetic sense, he featured them in a style close to hyperrealism, with a heightened attention for detail and technical perfection. He was described as "the handsomest man in Europe" by the American press. He turned beauty into a lifestyle, seeking perfection from his servants' uniforms to his young daughter's fringe of hair. 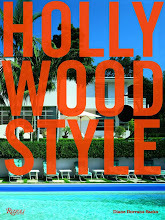 He influenced a numerous artists after him, ranging from Andy Warhol to Robert Mapplethorpe. Bernard Boutet de Monvel was highly admired in France and across the Atlantic during his lifetime. 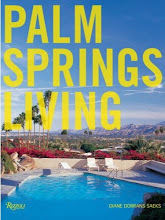 Yet until the publication of the large-format new Flammarion book and the Sotheby’s sale, his oeuvre and his life, worthy of a Fitzgerald novel, were little known. In Sotheby’s sale, eight works by the artist were acquired by French museums, including the Musée d’Orsay, the Musée d’Orléans, the Musée de Poitiers and the Musée franco-américain du Château de Blérancourt. 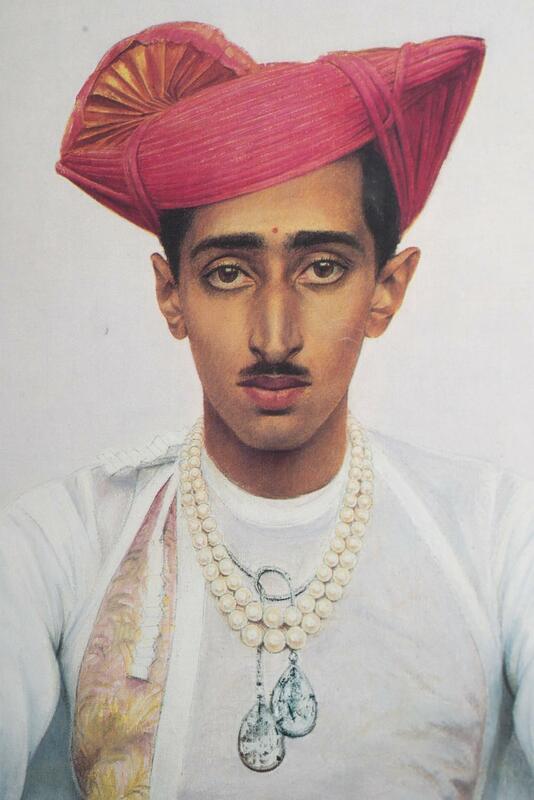 The Maharajah of Indore (a state of India located to the west of Mumbai) painted by Bernard Boutet de Monvel in 1933. Among my favorite works by Boutet de Monvel are a series of portraits he painted of the young Maharaja of Indore in 1933. The maharaja and his wife were living in Paris and surrounded artists and architects and fashion designers of the period. Boutet first painted the couple in evening dress. These paintings are now in a private collection. My post details the story of the Maharajah and his son. Fascinating. The Maharaja of Indore was influential in Indore's incorporation into India in 1948 and was a noted spokesman for the United Nations. He also loved European life and luxury. After his studies in England as a young man, he travelled to France with his wife. Keen admirers of modern art, the couple befriended Henri-Pierre Roché, who was deeply involved with the artistic avant-garde in Paris and who was friends with artists like Brancusi, Man Ray and Picabia. 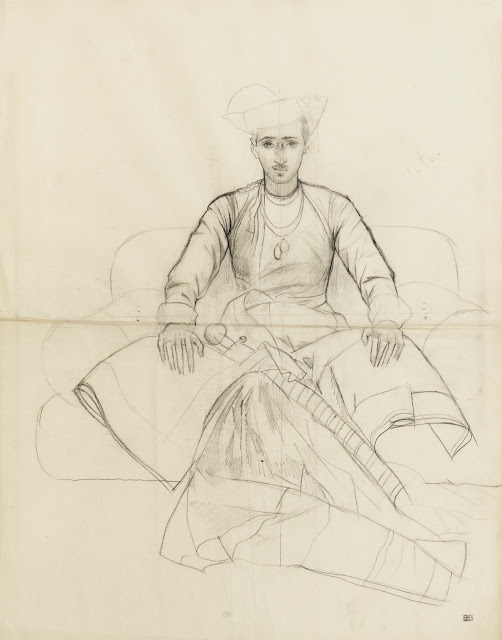 In 1929, when the Maharaja wanted to decorate one of the rooms in his palace at Indore, Roché recommended Bernard Boutet de Monvel, who set to work on his portrait. Pleased with this first commission, in 1933 the Maharajah asked for a second portrait in ceremonial dress, with a pendant portrait of his wife in traditional dress. 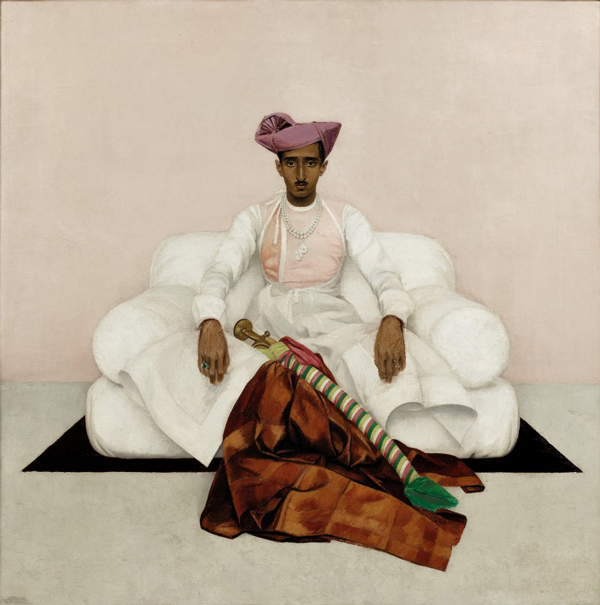 The two paintings were exhibited in the Wildenstein Gallery in New York in January 1934, where they were so successful that Boutet de Monvel made a replica of the Maharajah's portrait in 1934: the one Sotheby’s offered in the recent sale. It sold for several million euros. The Maharaja is wearing the ‘Indore pears’ — diamonds weighing almost 47 carats each, especially mounted on a pearl necklace by Chaumet for this portrait. Majestically seated on his throne, wearing his traditional turban, his silhouette seems to float in space. A few refined touches of color – the deep red carpet, the multi-colored material of the saber's sheath and the delicately crumpled, richly colored fabric – subtly highlight the clean lines of the painting. CREDITS:Images above from ‘Bernard Boutet de Monvel At the Origins of Art Deco’ by Stéphanie-Jacques Addade (Flammarion 2016). 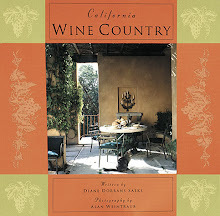 Published here with express permission of the publisher. 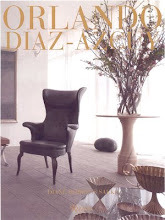 Images/portraits from the catalog of the Sotheby’s sale, April 2016, from the estate of Bernard Boutet de Monvel, used here with permission from Sotheby’s. Interesting, also how "forgotten" he became. This man was contemporary with all the "isms", painting in the same city. His paintings are marvelously effortless and cool, but if cubism, futurism, expressionism, and surrealism were happening around him, he must also have been a rebel to work so conservatively. 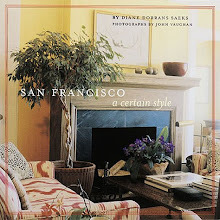 Looking at his many citiscapes, which sometimes figure into his portraits especially of successful business tycoons etc., show how much cubism and modernist design actually did contribute to his working aesthetic during the thirties, etc. 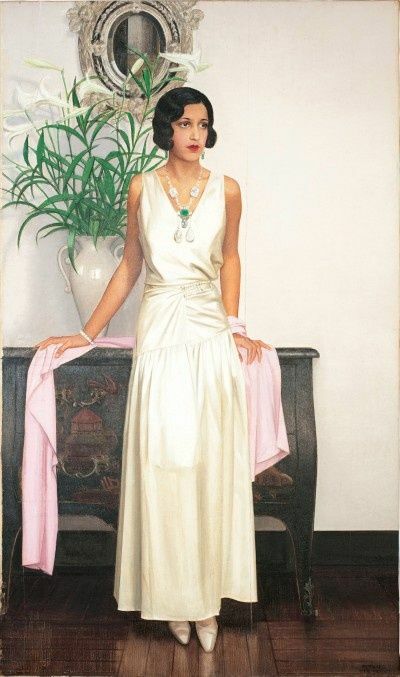 Even some of the Palm Beach society portraits are a synthesis of modernist design and his own heightened, refined realism. 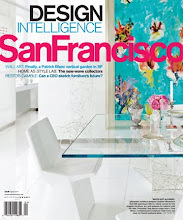 A curious, dazzling artist worthy of renewed attention. I'm glad this book will help resurrect his public reputation.